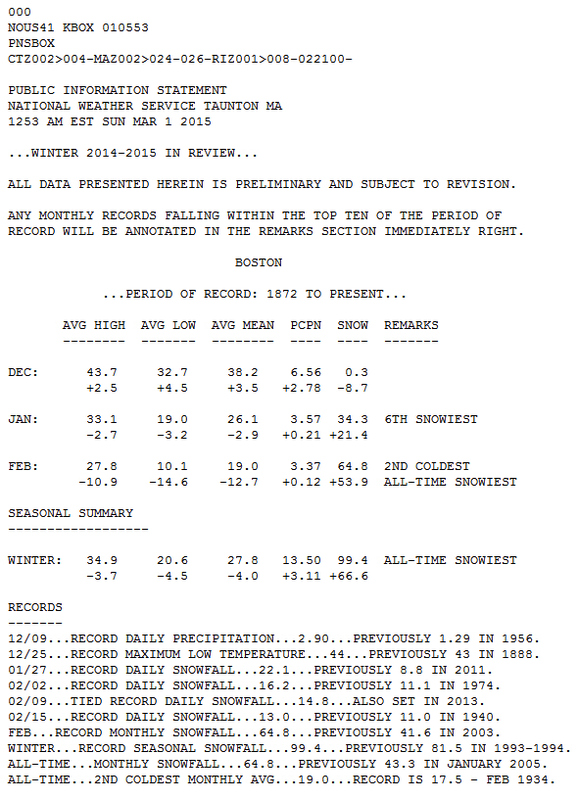 That date is something I keep in mind whenever I read the seasonal totals that the National Weather Service releases on the 1st of March each year, this year’s shown below. Temperatures are in F and snowfall totals in inches. As a perfect example of the temporary nature of their winter ‘in review’, I’ll mention that it’s snowing right now, with an expected 3″ tonight. 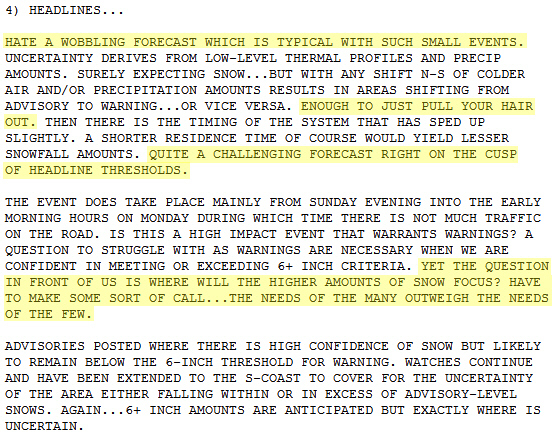 Also, I believe my area has had around a foot more snow than Boston proper, which is what’s covered by this summary. That’s not a boast – it’s a lament. The day before that 1997 blizzard occurred here, the temperature had reached 64F/18C.